It seems that we all can't play nice in the "There I was..." Forum whilst remaining anonymous. Spammers seem to have a field day with this one too so as of now anonymous privileges have been revoked and the school puma is strictly out of bounds. Is that like a financal Panther? Way to dig up an old thread '99. And no, the School Puma is linked to the School Cormorant that some boys were caught rubbing linseed oil into. 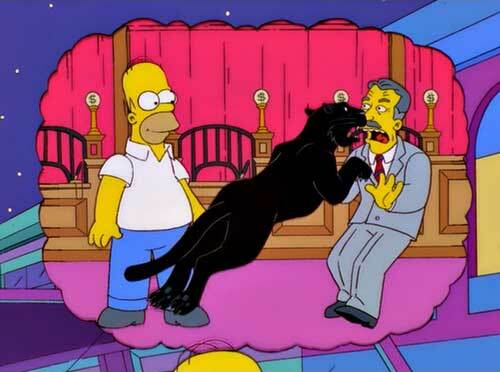 As opposed to Homers Financial Panther, which is also very funny.